Follow these instructions and we’ll have you wiring a switch, wiring a 3-way switch, a 4-way switch, wiring a receptacle and more. My goal is to help you to complete your home electrical wiring projects with ease! An electrical wiring diagram is essentially a schematic representation of an electrical circuit. It can be anything from a crude diagram scrawled out on a piece of cardboard, or a napkin, to a sophisticated electronically produced wiring diagram. In your home electrical projects, it is very important to use wiring diagrams. They can assist you by providing a road map for planning and completing your home electrical wiring projects, saving you both time, money, and frustration. When do we Need a Wiring Diagram? 1. To help you understand what connections need to be made after running your cables, and how to make those connections. 2. To capture how connections and splices are in an existing installation, so you can replace a defective device, or repair a poor connection or splice. A good example of this would be replacing a 3-way switch. Diagram how the connections are before you disconnect the old 3-way switch, especially noting what wire is connected to the common terminal, then wiring the new 3-way switch will be simple! What is a Wiring Device? The most common wiring device that you may need a wiring diagram for is a receptacle. Wiring a receptacle is very easy if you have a wiring diagram for making the proper connections. One common mistake people make is referring to a receptacle as a plug. They will ask me how to wire a plug or a plug-in, when they should be asking how to wire a receptacle. A plug is what goes into a receptacle. Remember it this way: At the end of my lamp cord is a plug, and I will insert that plug into the receptacle. Here is a basic diagram for wiring a receptacle. Another useful wiring diagram is how to wire switch. Wiring a switch is really quite simple and easy to understand. A single-pole switch is very common in the home, and is used for controlling a light or lights, or a switched receptacle from one location. A switch simply interrupts the flow of electricity to complete or break the circuit to a light or a lamp. The three way switch is another common device within the home. It is used to control a light or lights, or a receptacle for a lamp, from two locations, like at either end of a hallway, the top and bottom of a stairwell, or at either end of a room to control the lights. Some will ask me to show a diagram for wiring a 2-way switch, and I have even had people correct me when I call these devices 3-way switches. They claim they are 2-way switches. I guess you could make a case for a name change, because a single-pole switch is for one location, and a 3-way is for 2 locations? I don’t know the answer to that question, but trust me when I say that it is called a 3-way switch. 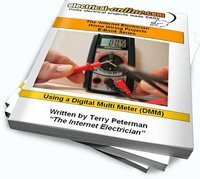 See the indoor wiring diagrams for many variations on how to wire a three-way switch. A four-way switch is used in conjunction with 3-way switches so you can control a light set of lights from three or more locations. See the indoor wiring diagrams on the website for a diagram for how to wire a 4-way switch. You could refer to a light fixture as a wiring device in the home, but the proper name is a fixture. Light fixtures come in a variety of types, designs, and construction. Here is a wiring diagram for how to wire a light fixture, or at least to have the outlet ready for the installation of a light fixture. Here is a basic wiring diagram for a light box. Wiring diagrams are very important, and help you in your home electrical projects, like wiring a receptacle, wiring a switch, wiring a 3-way switch, wiring a 4-way switch, or wiring a light fixture. 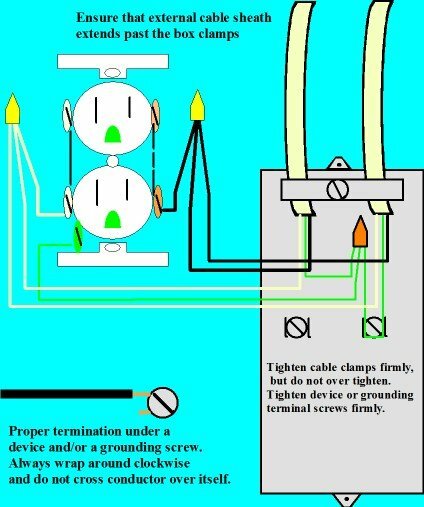 I will post many diagrams covering numerous situations that you may find throughout your home, to help you complete your wiring projects successfully. If you don’t see what you are looking for, send us a suggestion and I’ll get a wiring diagram created to help you out! This entry was posted in Understanding Wiring Diagrams, Wiring Diagrams and tagged 2-way switch, 3-way switch, 4-way switch, circuit, diagrams, home electrical, home electrical wiring diagrams, house wiring, house wiring diagrams, how to wire a 3-way switch, how to wire a 4-way switch, light switch, outlets, plugs, receptacles, single pole switch, wiring, wiring a switch, wiring diagrams. Bookmark the permalink.